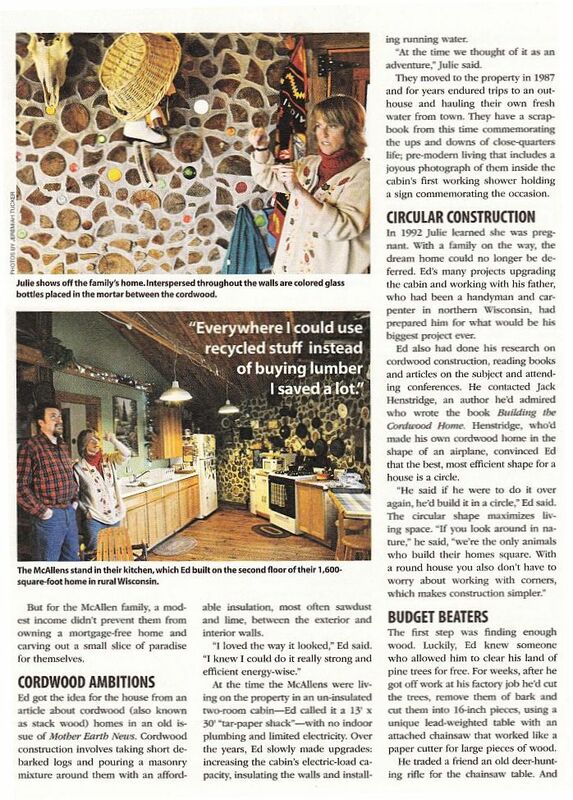 Ed and Julie McAllen built a gorgeous cordwood home near Galesville, Wisconsin by the Black River. 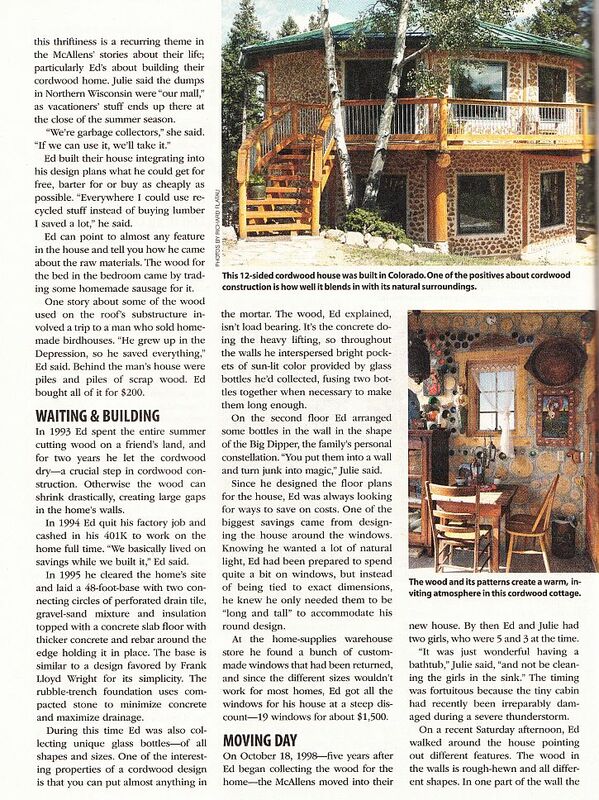 They built it for $23,000 because they recycled, scrounged and did most of the construction themselves. The following article is used with the permission of the editors at New Pioneer Magazine. It comes from their 2o12 issue #155. 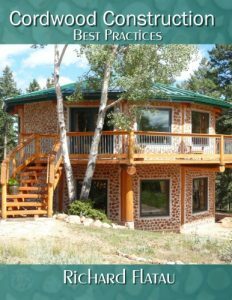 Ed and Julie lived in an old cabin while they constructed their dream home. 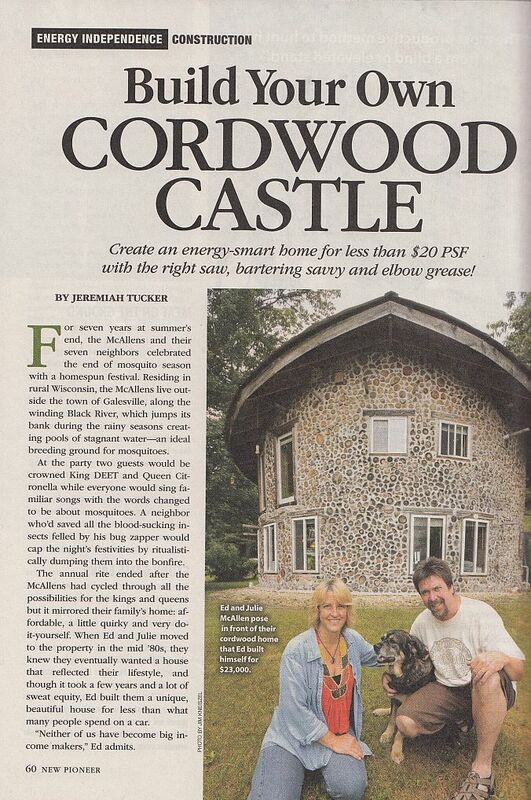 By looking around for bargains and throw outs, they were able to build a home for the price of a modest new car. 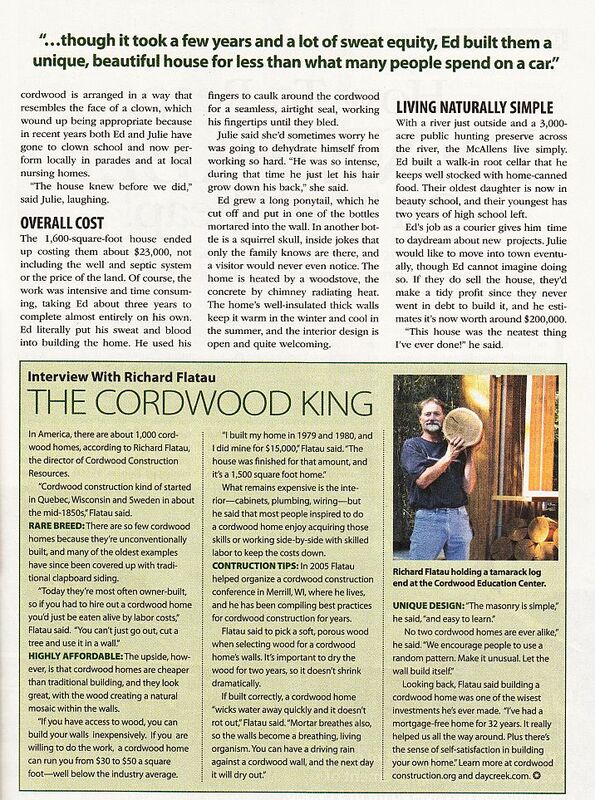 Bottle ends and special log ends are placed in the walls that detail the families journey to home ownership. There are deer antlers for coat hooks, a bottle end Big Dipper and deer mounts on the walls. 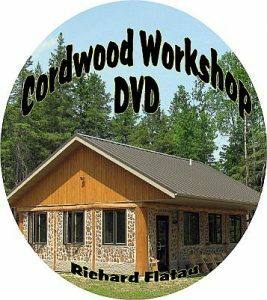 With cordwood there is never a problem finding a place to pound a nail. Ed and Julie built a root cellar for storing their home canned food. They have access to the Black River and acres and acres of public land.